Laura Pritchett is an award-winning author who has quickly become one of the west’s defining literary voices. 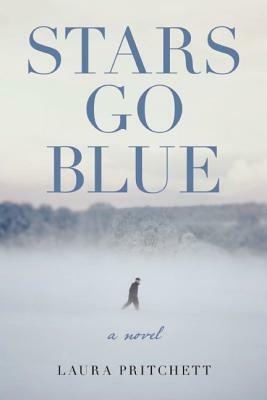 We first met hardscrabble ranchers Renny and Ben Cross in Laura’s debut collection, and now in Stars Go Blue, they are estranged, elderly spouses living on opposite ends of their sprawling ranch, faced with the particular decline of a fading farm and Ben’s struggle with Alzheimer’s disease. He is just on the cusp of dementia, able to recognize he is sick but unable to do anything about it the notes he leaves in his pockets and around the house to remind him of himself, his family, and his responsibilities are no longer as helpful as they used to be. Watching his estranged wife forced into care-taking and brought to her breaking point, Ben decides to leave his life with whatever dignity and grace remains.